Eighty two percent of the wealth generated last year went to the richest one percent of the global population, while the 3.7 billion people who make up the poorest half of the world saw no increase in their wealth, according to a new Oxfam report. The report is being launched as political and business elites gather for the World Economic Forum in Davos, Switzerland. Women workers often find themselves off at the bottom of the heap. Across the world, women consistently earn less than men and are usually in the lowest paid and least secure forms of work. By comparison, 9 out of 10 billionaires are men. Limit returns to shareholders and top executives, and ensure all workers receive a minimum ‘living’ wage that would enable them to have a decent quality of life. For example, in Nigeria, the legal minimum wage would need to be tripled to ensure decent living standards. Eliminate the gender pay gap and protect the rights of women workers. At current rates of change, it will take 217 years to close the gap in pay and employment opportunities between women and men. Ensure the wealthy pay their fair share of tax through higher taxes and a crackdown on tax avoidance, and increase spending on public services such as healthcare and education. Oxfam estimates a global tax of 1.5 percent on billionaires’ wealth could pay for every child to go to school. Results of a new global survey commissioned by Oxfam demonstrates a groundswell of support for action on inequality. 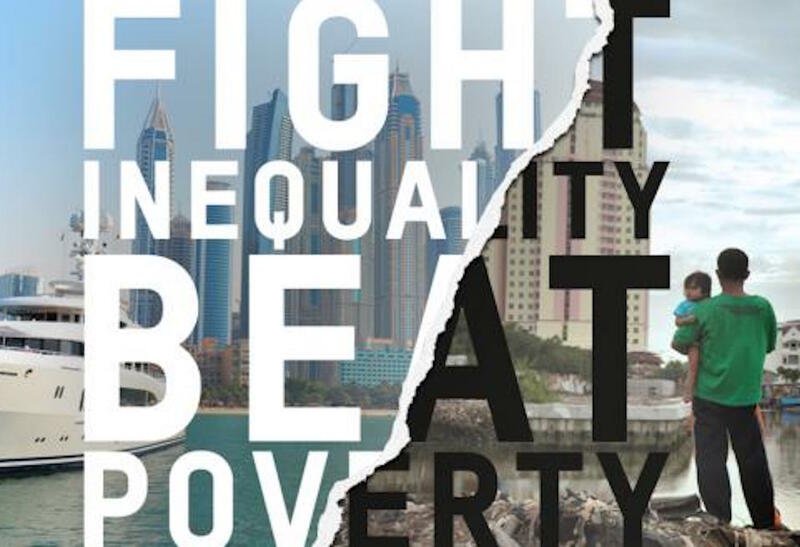 Of the 70,000 people surveyed in 10 countries, nearly two-thirds of all respondents think the gap between the rich and the poor needs to be urgently addressed. “It’s hard to find a political or business leader who doesn’t say they are worried about inequality. It’s even harder to find one who is doing something about it. Many are actively making things worse by slashing taxes and scrapping labor rights,” said Byanyima. The U.N. finds growing numbers of Americans are living in the most impoverished circumstances. How did we get here? asks Premilla Nadasen.